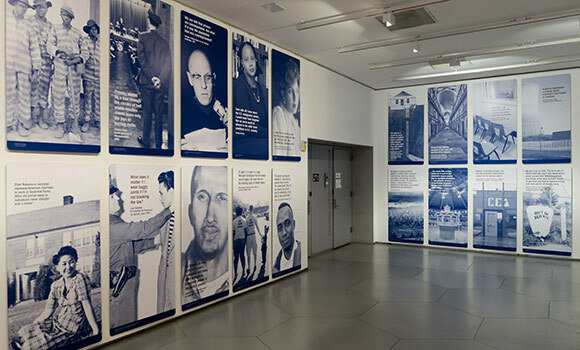 A portion of the States of Incarceration exhibition, which opened in April in New York City. UNCG will host States of Incarceration, the first national traveling multimedia exhibition and coordinated public dialogue on mass incarceration, from Nov. 8 through Dec. 15 at the International Civil Rights Center & Museum in downtown Greensboro. 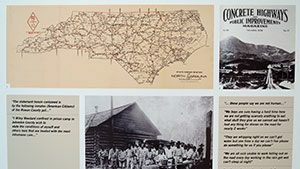 This portion of the exhibition, developed by UNCG students, shows how chain gangs in the 1920s built North Carolina’s road systems.